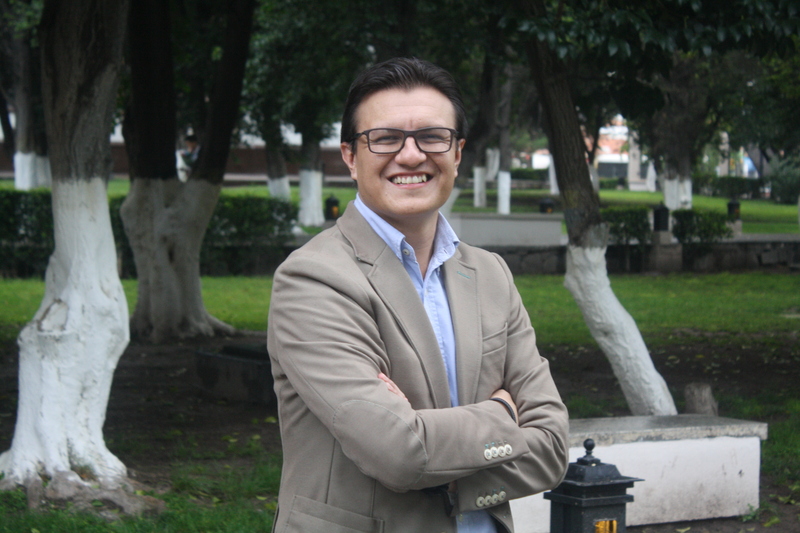 Dr. Héctor A. Ruiz is a Professor in the School of Chemistry at the Autonomous University of Coahuila since 2013 and Leader of Biorefinery Group. • Research Stay in the Department of Chemistry, Center for Advanced Scientific Computing and Modeling at the University of North Texas, USA, 2003 (Cundari Research Group). • Chemical Engineering, Autonomous University of Coahuila. Mexico, 2004. • Lead Operations Engineer, Magnelec Industries. Subsidiary of Peñoles Group, 2007. • Ph.D. in Chemical and Biological Engineering, University of Minho, Portugal, 2011 (Centre of Biological Engineering). • Postdoctoral Researcher, University of Minho and University of Vigo, Portugal/Spain, 2012 (Group EQ-2). • Member of Editorial Board of Electronic Journal of Energy and Environment, 2013 (Editorial Advisory Board). • Member of the National System of Researchers (SNI- Conacyt), level I, 2013. • Visiting Professor at the Federal University of Sergipe and RENORBIO, Brazil, 2013. • Research Stay in the Center for Research and Advanced Studies of the National Polytechnic Institute (Cinvestav), Guadalajara- Unit, Mexico, 2014. • Visiting Professor at the Centro de Biotecnologia Agrícola e Agro-Alimentar do Alentejo (CEBAL), Portugal, 2014. • Research Stay in the Centre of Biological Engineering at the University of Minho, Portugal, 2014. • Research Stay at the Brazilian Bioethanol Science and Technology Laboratory (CTBE), Brazil, 2014. • Visiting Professor at the University of Florida, Stan Mayfield Biorefinery, USA, 2014. • Member of Editorial Board of Industrial Crops and Products (Elsevier Editorial), 2014 (Editorial Advisory Board). • Editor of Bioethanol Journal (Degruyter Editorial), 2014 (Bioethanol Journal). • Research Stay in the Chemical and Biological Engineering Department at the University of British Columbia, Canada, 2015. • Associate Editor of Editorial Board of BioEnergy Research (Springer Editorial), 2015 (BioEnergy Research). • 2015. Carlos González-Figueredo, Arturo Sánchez, German Díaz, Felicia Rodríguez, Roberto Flores, Marco A. Ceballos, Ramón Puente, Héctor A. Ruiz. Dynamic modelling and experimental validation of a pilot-scale tubular continuous reactor for the autohydrolysis of lignocellulosic materials. Computer Aided Chemical Engineering. 37, 431–436. • 2015. Héctor A. Ruiz, Juan C. Parajó, José A. Teixeira. Biorefinery strategies for macroalgae-based in bioethanol production. Chapter Book in Energy Science and Technology vol 12. Studium Press LLC, USA . 349-361. • 2015. Fabiano Avelino Gonçalves, Héctor A. Ruiz, Everaldo Silvino dos Santos, José A. Teixeira, Gorete Ribeiro de Macedo. Bioethanol production from coconuts and cactus pretreated by autohydrolysis. Industrial Crops and Products. 77, 1-12. • 2015. Mario Aguedo, Héctor A. Ruiz, Aurore Richel. Non-alkaline solubilization of arabinoxylans from destarched wheatbran using hydrothermal microwave processing and comparison with the hydrolysis by an endoxylanas. Chemical Engineering and Processing: Process Intensification. 96, 72-82. • 2015. Michele Michelin, Héctor A. Ruiz, Daniel P. Silva, Denise S. Ruzene, José A. Teixeira and Maria Lourdes T. M. de Polizelia. Cellulose from Lignocellulosic Waste. Chapter Book in Polysaccharides, Bioactivity and Biotechnology. Springer International Publishing Switzerland. pp 475-511. • 2015. Maria J. Costa, Miguel A. Cerqueira, Héctor A. Ruiz, Christian Fougnies, Aurore Richel, António A. Vicente, José A. Teixeira, Mario Aguedo. Use of wheat bran arabinoxylans in chitosan-based films: Effect on physicochemical properties. Industrial Crops and Products. 66, 305-311. • 2014. Francisco B. Pereira, Aloia Romaní, Héctor A. Ruiz, José A. Teixeira, Lucília Domingues. Industrial robust yeast isolates with great potential for fermentation of lignocellulosic biomass. Bioresource Technology. 161, 192-199. • 2014. Fabiano Avelino Gonçalves, Héctor A. Ruiz, Cleitiane da Costa Nogueira, Everaldo Silvino dos Santos, José A. Teixeira, Gorete Ribeiro de Macedo. Comparison of delignified coconuts waste and cactus for fuel-ethanol production by the simultaneous and semi-simultaneous saccharification and fermentation strategies. Fuel. 131, 66-7. • 2014. Aloia Romaní, Héctor A. Ruiz, Francisco B. Pereira, Lucília Domingues, Jose A. Teixeira. Integrated approach for effective bioethanol production using whole slurry from autohydrolyzed Eucalyptus globulus wood at high-solid loadings. Fuel. 135, 482-491. • 2014. Héctor A. Ruiz. Biorefineries and the impact on renewable energy. Editorial. Electronic Journal of Energy and Environment. Doi: 10.7770/EJEE-V2N1-ART735. • 2014. Aloia Romaní, Héctor A. Ruiz, Francisco B. Pereira, Lucília Domingues, Jose A. Teixeira. Effect of hemicellulose liquid phase on the enzymatic hydrolysis of autohydrolyzed Eucalyptus globulus wood. Biomass Conversion and Biorefinery. 4, 77-86. • 2013. Aloia Romaní, Héctor A. Ruiz, Francisco B. Pereira, Lucília Domingues, Jose A. Teixeira. Fractionation of Eucalyptus globulus wood by glycerol-water pretreatment: optimization and modeling. Industrial & Engineering Chemistry Research. 52, 14342-14352.